The Article: Secularism Is Good for America—Especially Christians by Isaac Chotiner in The New Republic. 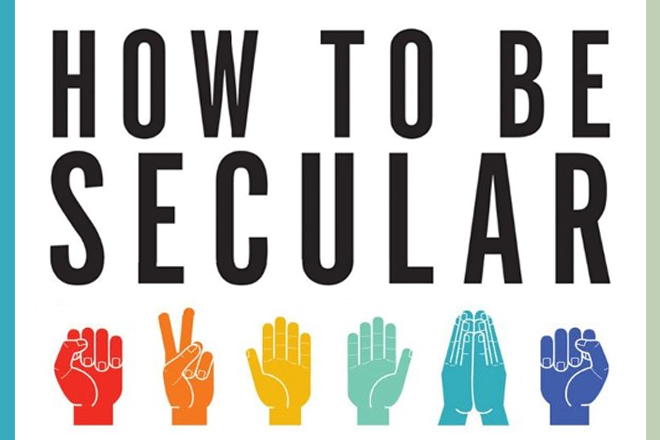 The Text: The rise of a secular culture, combined with an increasing number of self-identified atheists and agnostics in western societies, has led to a certain amount of handwringing among religious believers. Secularists, the argument goes, are starting to become mean and nasty: as the culture war’s victors, they are acting vindictive and cruel. It’s only a matter of time before religious believers are tarred, feathered, and sent to re-education camps. You might think I am exaggerating, but only slightly. The New Statesman recently ran a cover story about atheist intolerance; the piece claimed that religious believers were under sustained attack. And now Damon Linker, in The Week, has written an article about the secular arrogance that supposedly characterizes our current era. Of this arrogance, he writes, “When liberals act that way, they run the risk of turning themselves into latter-day Jacobins, the anti-religious zealots who dominated the French Revolution during its most radical phase.” Given the stakes, it’s worth stepping back a bit and examining this moment, at least before Linker and Billy Graham are decapitated by Richard Dawkins and Jerry Coyne. On one point, of course, Linker is correct. Western societies are largely secular. Even in countries like the United States, which contain high levels of religiosity, popular culture, education, and politics all operate within an essentially secular paradigm. (When a movie like The Passion of the Christ makes gargantuan amounts of money, it really does feel like an exception from the norm, because indeed it is.) And yet religion continues to prosper: presidential candidates discuss their faith, people still go to church, most Americans draw a connection between religion and morality, and religious leaders continue to hold real sway. Christmas has been commercialized, but it is hardly under siege. Thus, one might argue, increasing secularization is not in fact a huge threat to religious liberty. Religion can survive a secular culture. But Linker and others are intent on making precisely the opposite argument: that the next wave of secularization will be marked by radical anger and score-settling. Some of this is surely politically motivated: just look at a recent USA Today column from Fox News’s Kirsten Powers, which presents the Obama administration as bullying and abrasive and intent on going after nuns who oppose the contraception mandate. (Linda Greenhouse shreds Powers’s silly piece here.) But some of this discontent, including Linker’s undoubtedly sincere piece, is surely motivated by feelings of genuine concern. In case there’s any doubt: I support gay marriage, and I have no objection to birth control. But I also believe that a free society should permit its members to disagree on these issues. And that when liberals use the government’s coercive powers to force believers to change their views or act against their most deeply held spiritual convictions, liberals (paradoxically) commit an act of illiberalism. Emboldened by their victories in the push for gay marriage and relishing the reversals of the religious right in recent years, they seem all too willing to compromise their principles for the sake of what they hope will be total victory in the culture war. The problem with Linker’s argument, as well as being alarmist, is that its ahistorical. Linker is correct about America’s secular drift, which should make him realize that religious people in the United States have been pushed for years into positions that they are uncomfortable with. Many religious people once felt it violated their deeply held beliefs to send their kids to non-religious schools that did not include prayer. Many religious people do not believe in modern medicine, but are forbidden from leaving their kids at the mercy of prayer. Many religious people once turned to scripture to give support to racist practices. (Plenty of religious people turned to faith to make the opposite argument too, of course.) Now almost no one would accept religious belief as an excuse for racism. Pretty soon the same will be true of homosexuality. If the latter case means religion is under attack, then faith has been under attack for a long, long time. The truth is that this wave of secularism, like previous waves of secularism, will leave believers in perfectly fine shape. Religion, much to the dismay of diehard atheists, has a way of adapting itself to current conditions. This era will prove no exception. There is a marked intolerance of religious people that needs correcting. For example claiming a coercion and offense if others pray inflicts restrictions upon religion. Creating faith free zones under the excuse of public property is absurd. Why would a school punish a child for saying she went to church and Bible camp and praised the Lord on her summer break? If four students pray together at lunch in school under what authority does the school act in punishing them? After all the Constitution forbids interference with religious activity. Also make note that crime and addictions are now at unmanageable levels due to permissive beliefs being common in the communities.